Set up your tap system and buy kegs from House Kombucha direct. 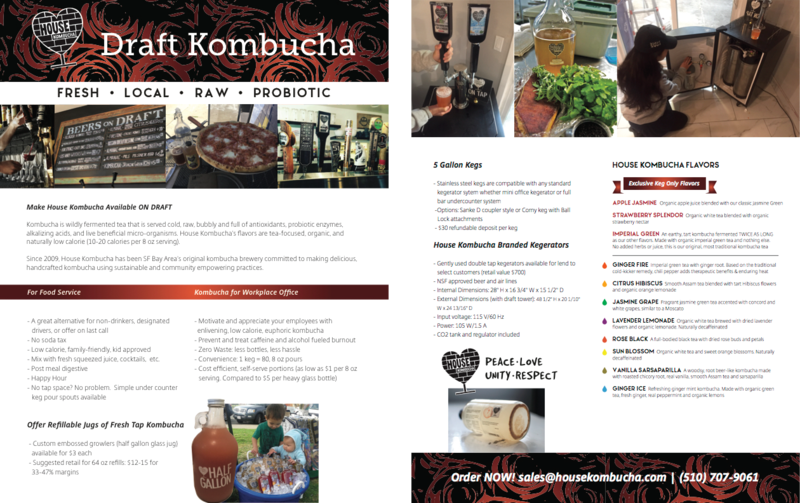 Simply call us at (510) 707-9061 or e-mail us at sales@housekombucha.com. All of our standard flavors are available, along with the following Specialty Brews -- only available on-tap!